Posted on August 4, 2011, in Arizona, haiku, Haiku Heights, Himmelsk, my digital photos, my haiku, Poetry Pantry, Poets United, REDnesday, Sensational Haiku Wednesday, Share the Joy Thursday, Sky Watch Friday. Bookmark the permalink. 26 Comments. I don´t know if the place is sacred. But I just love the colors – wonderful! O I so love the ambience of your haiku! Beautiful personification! And adore the dusky gold in your photo! Beautiful colors and a pretty sky. I enjoyed your haiku and your lovely skywatch photo. Thanks for shairing and happy skywatching! The wind sings its siren song. The hills do not move. The light — and color — of this photo is wonderful. the image and the verse!! Yes. . . sacred ground. the place that we walk our sacred paths. What an awesome sight. Great feature. what a glow. that’s a wow. 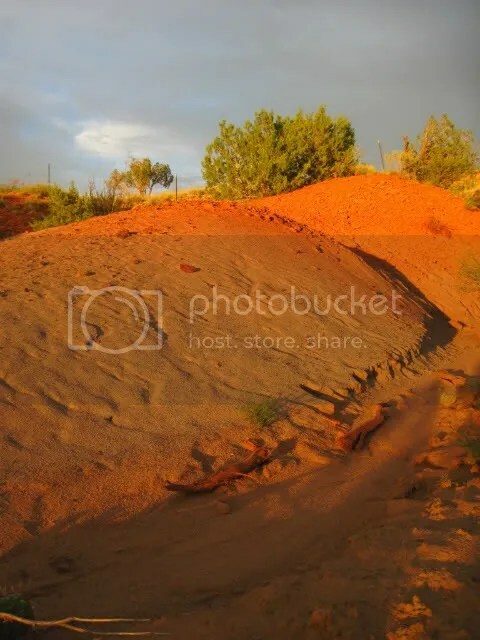 Is this by chance taken around the Kaibab Plateau? Thanks for stopping by my site, too. The colors are simply amazing!! Great pics & haikus on your blog–you’re getting around this summer. Fantastic lighting and composition in this capture! Your haiku is a wonderful addition!